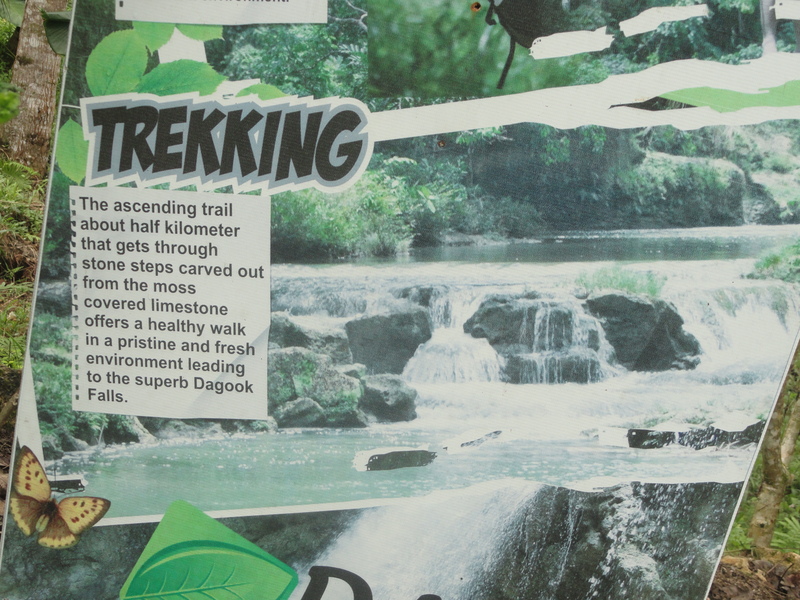 The Dagook Adventure Tour Experience Park or D.A.T.E. 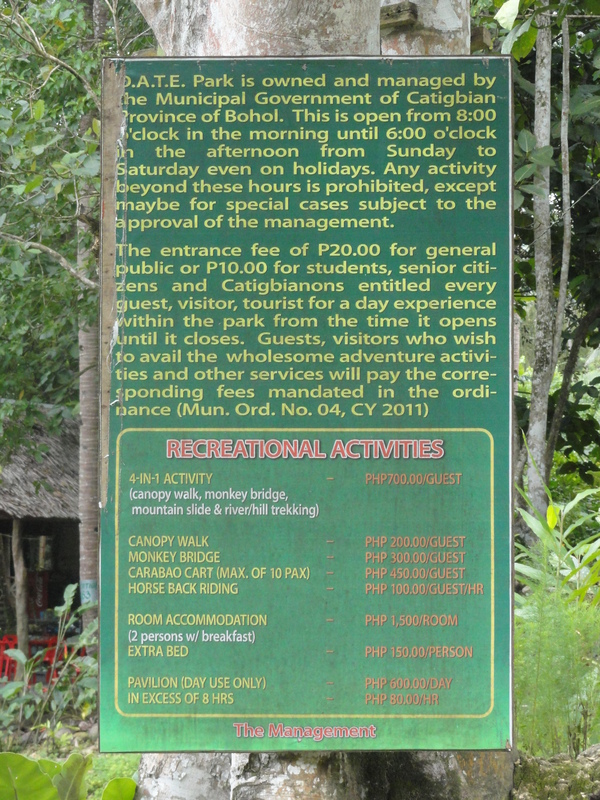 Park as locals often call is in Catigbian, Bohol. 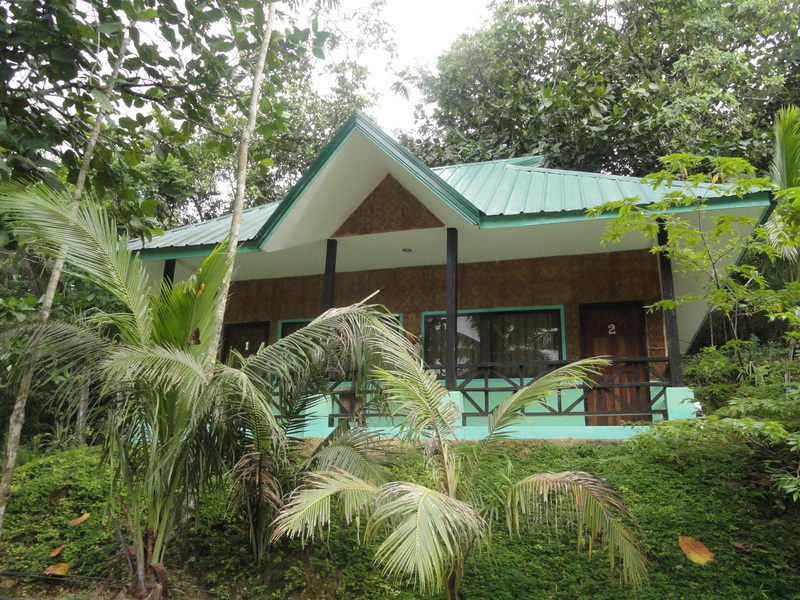 It is situated in Poblacion Weste and Rizal in Catigbian- a municipality in the interior of Bohol Island. 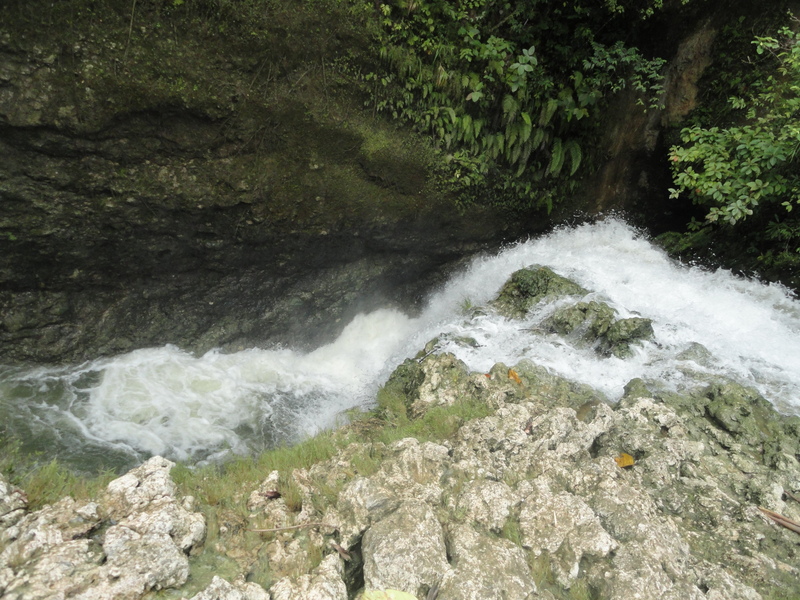 35 kilometers Northeast of Tagbilaran City. 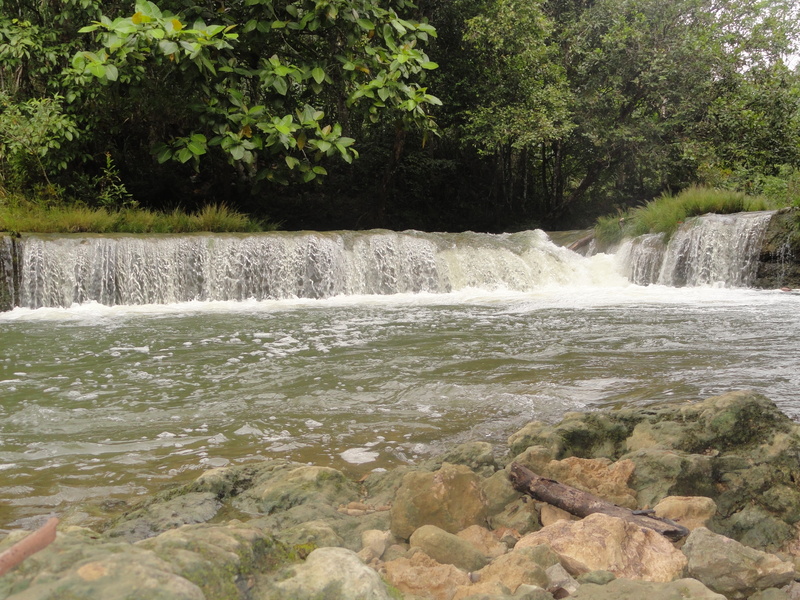 A 3-hectare natural forest reserve that conserves the swift-running Sampilangon River and lies towards the marvelous cascades of Dagook Falls. 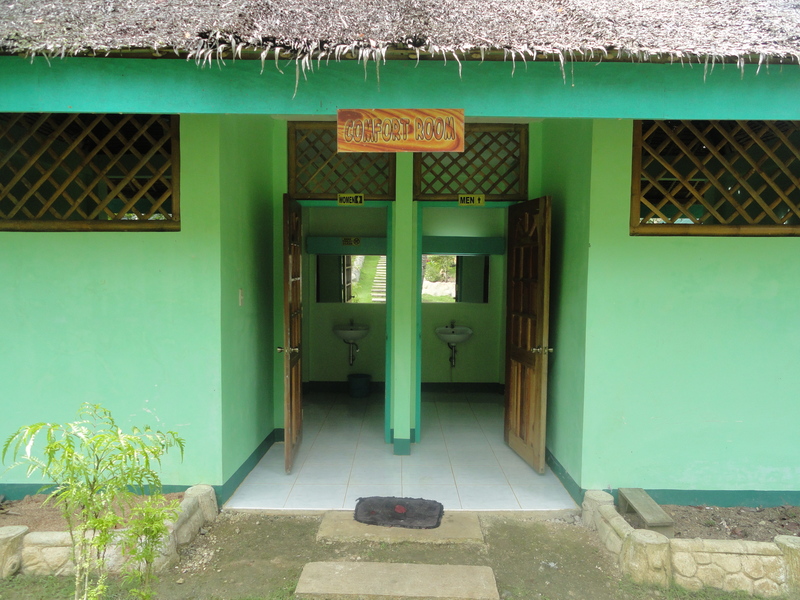 I had the chance to visit the place unfortunately wasn’t able to experience the activities there. It was a very quick stop so I just took advantage of taking pictures. 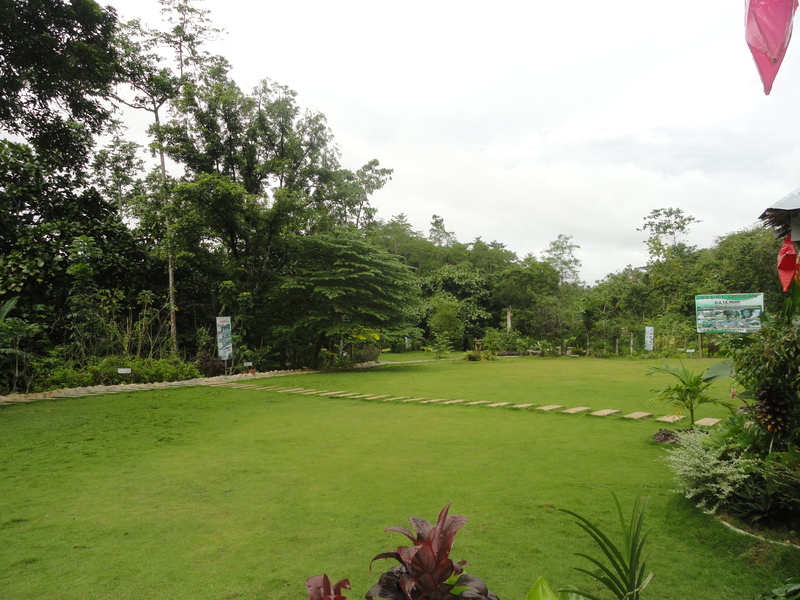 The park is owned by the local government unit of Catigbian so I believe they have a very minimal entrance fee or at least none. 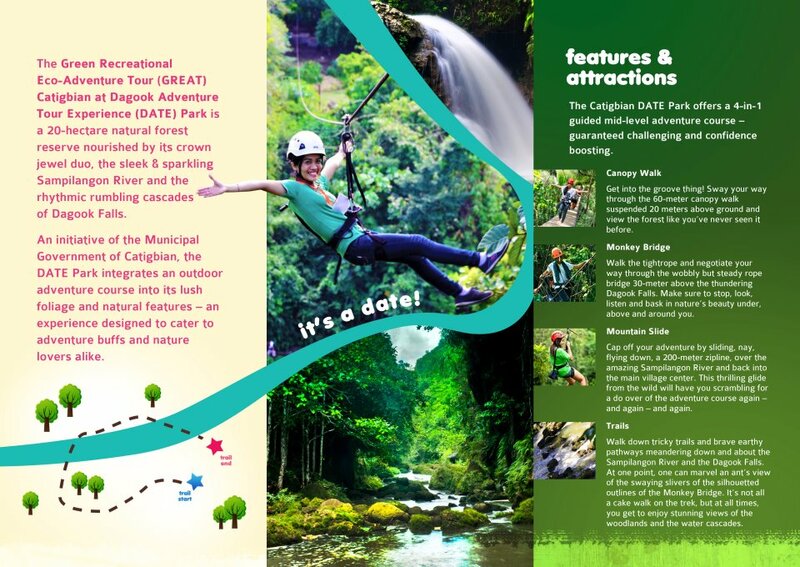 The activities were also affordable and if I remember it right, I believe they offer a package of Php700 inclusive of guides, use of equipment, park amenities (50% discount for students, senior citizens and Catigbian locals) for a trail course where you can enjoy most of the activities. 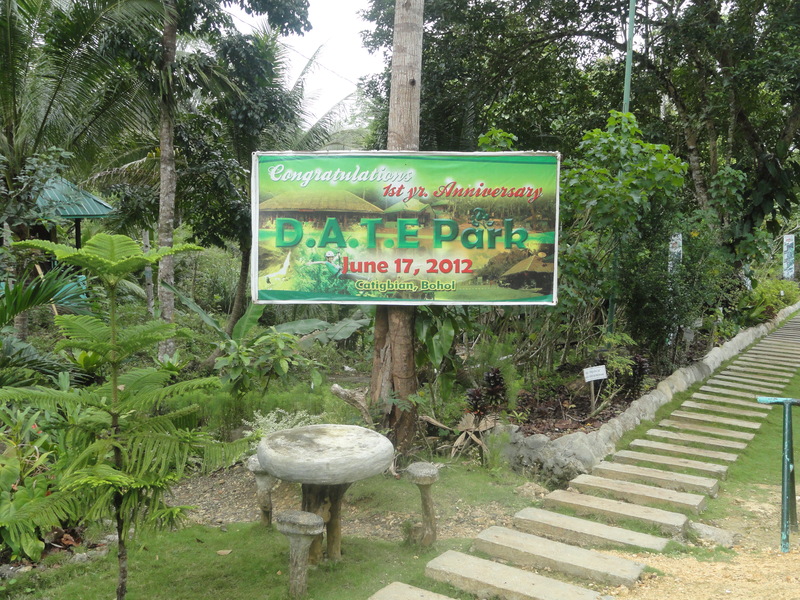 The activities in DATE Park are with intent ready to test your courage and endurance but less extreme than E.A.T. 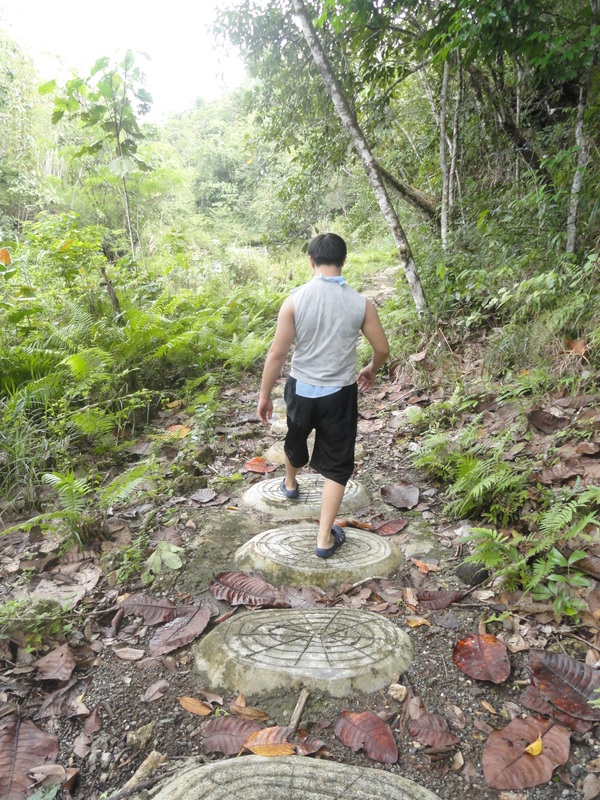 Danao Park. 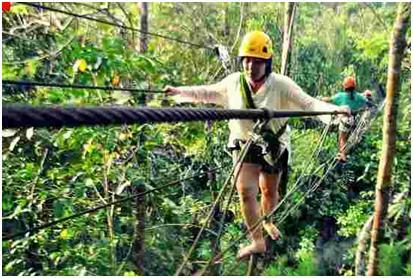 So if you’re not yet ready for intense ones, this is perfect for less daring adventure-seekers and for family bonding. The park opens from 8am until 5pm. 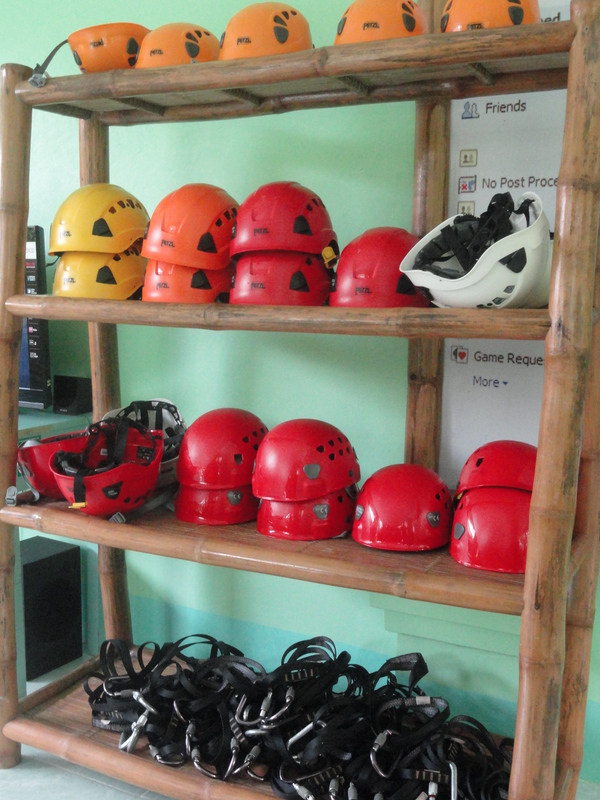 Visitors are briefed first and armed with safety harness, slider roller, headgear and outsized hooks at the main center. 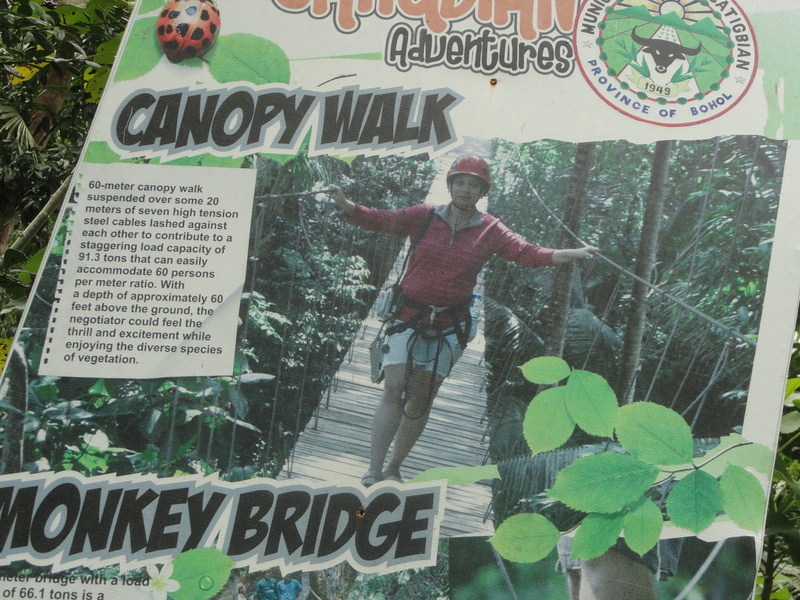 Activities include Canopy Walk, Monkey Bridge, Mountain Slides and Trails. 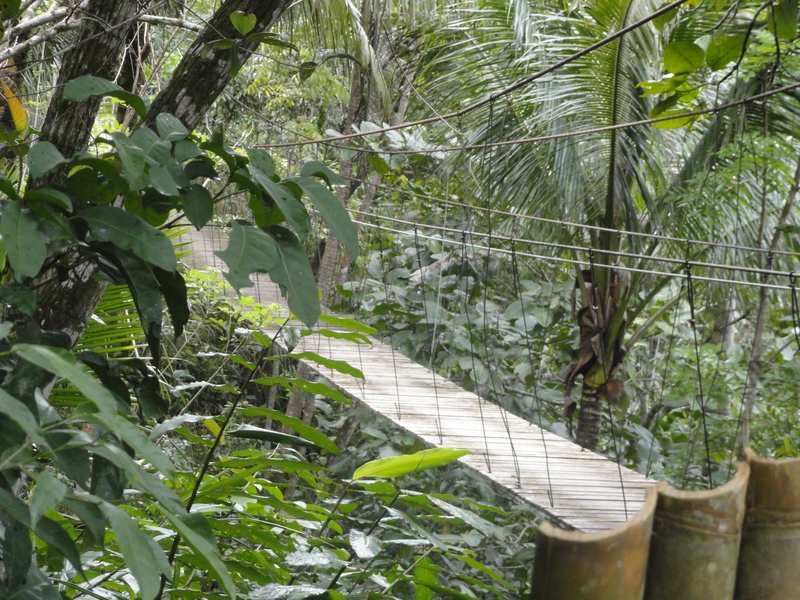 60-meter canopy walk suspended in 20 meters of 7 high-tension steel cables in about 60 feet above the ground deep. 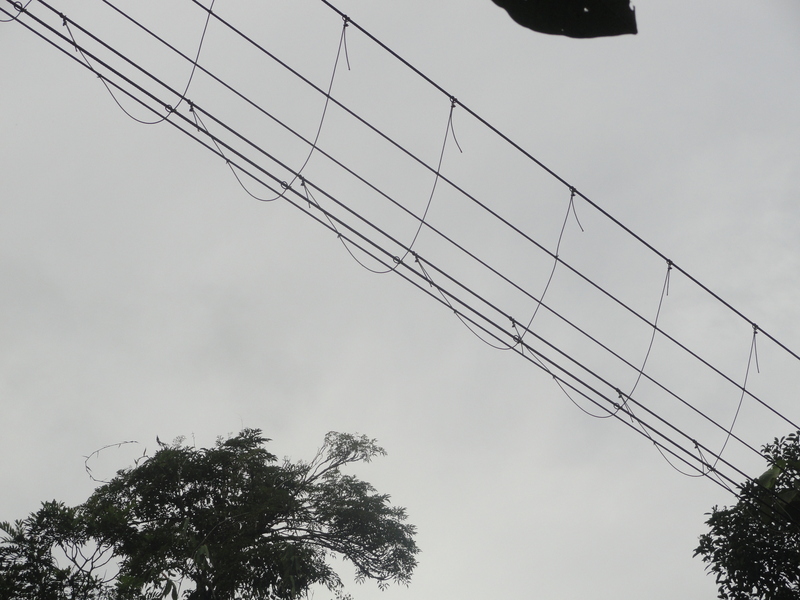 45-meter bridge hanging through 4 cables, one of which the harness will be fastened, walk along in 90-120 feet above the ground deep. 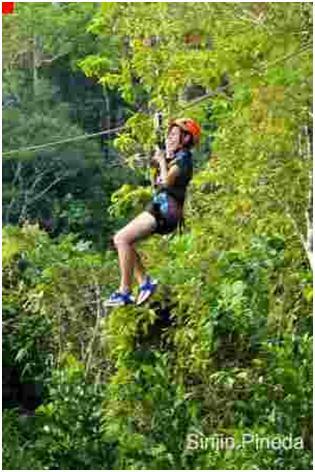 You will be wearing a double harness here attached to a safety cable. 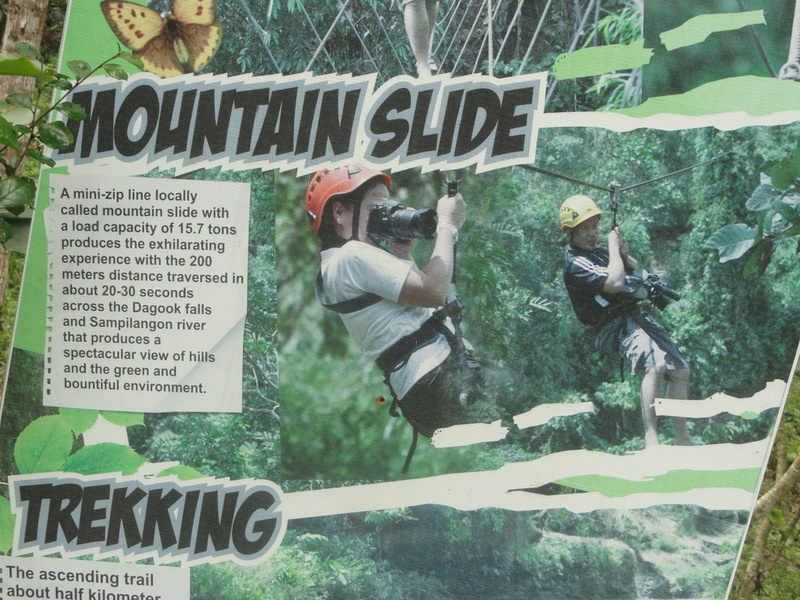 2000-meter zipline negotiates through Sampilangon River and Dagook Falls. 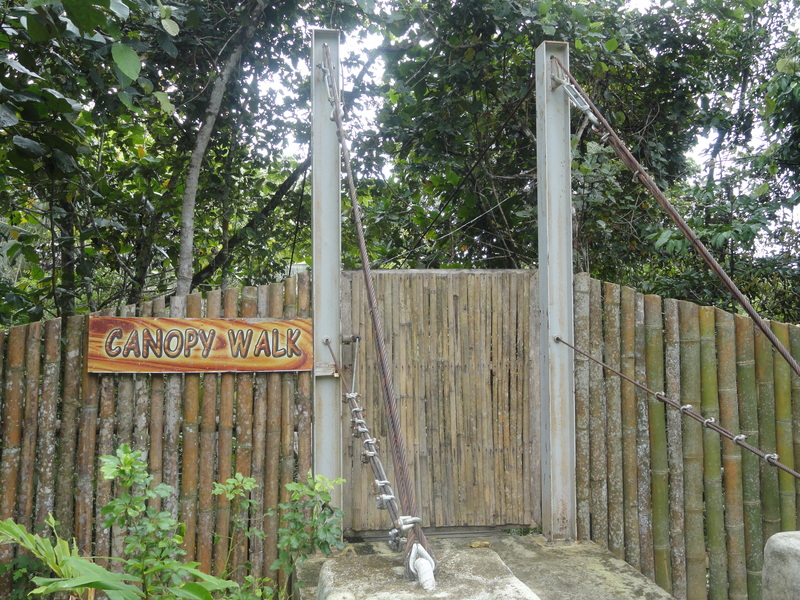 This will take you back near the area where you started the activities. 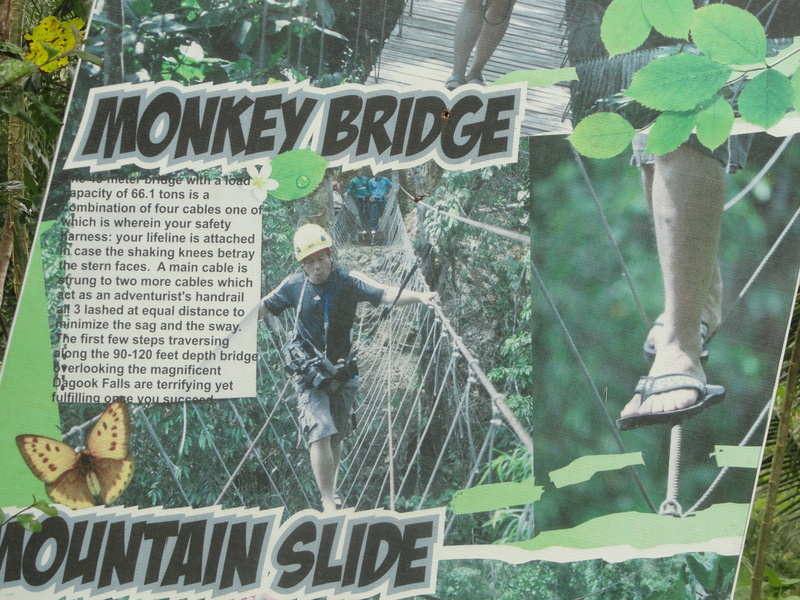 So before you do the monkey bridge, be ready for a 25-second slide! 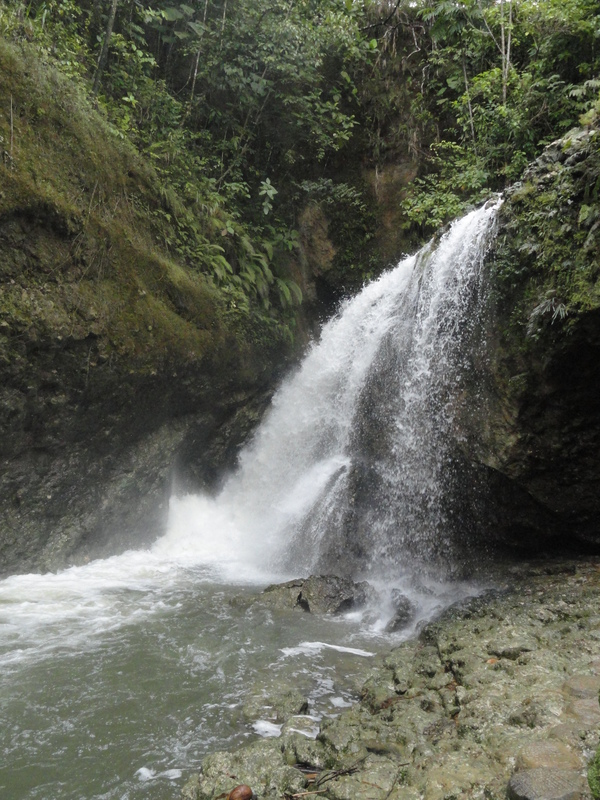 500-meter ascending trail to get to Dagook Falls. 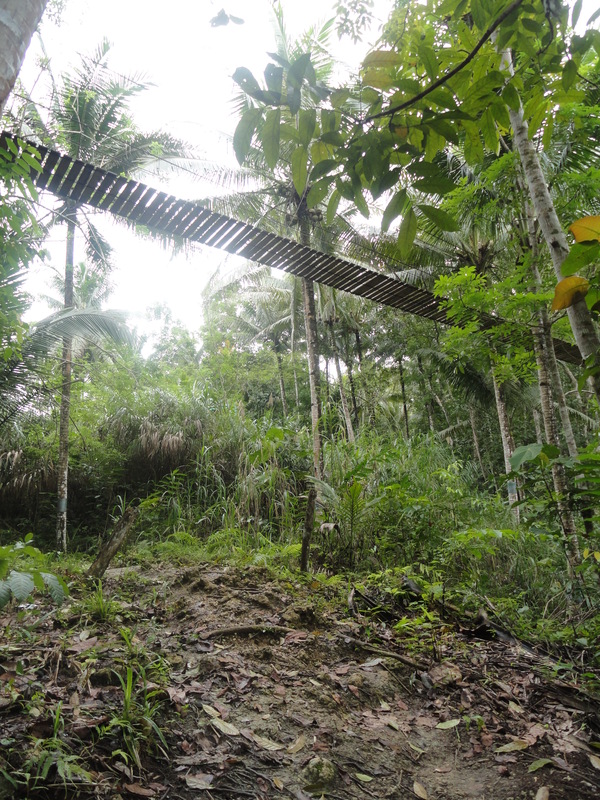 Medicinal plants are abundantly found in the area and are labeled with local names and what they’re used for. 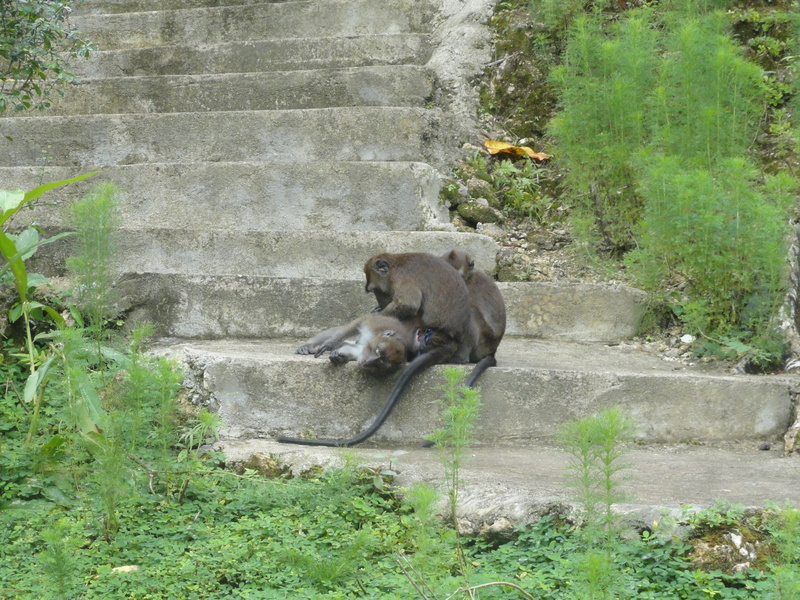 Amusingly, monkeys are everywhere which made me so anxious. They’re creepy. 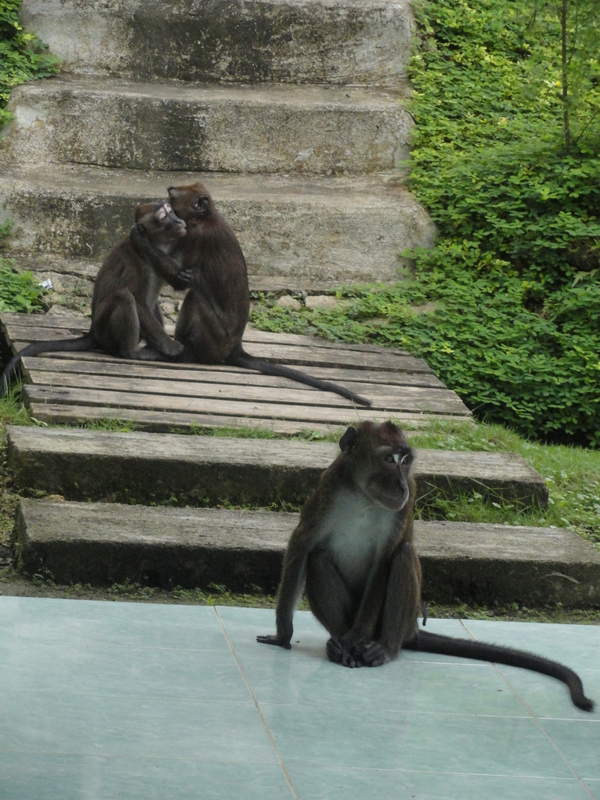 But the guide said they’re harmless. Still, I’m reluctant because they love to tease you if they see you scared. 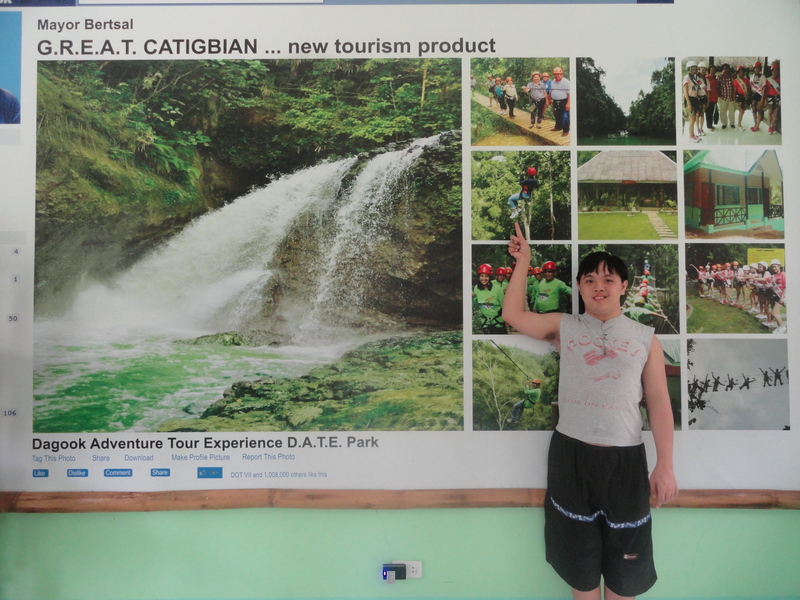 From Tagbilaran city, travel by bus bound for Danao or Sagbaan via Cortes Town at Dao Terminal. Ask the driver to drop you at First Consolidated Bank near the Barangay road leading to DATE Park. 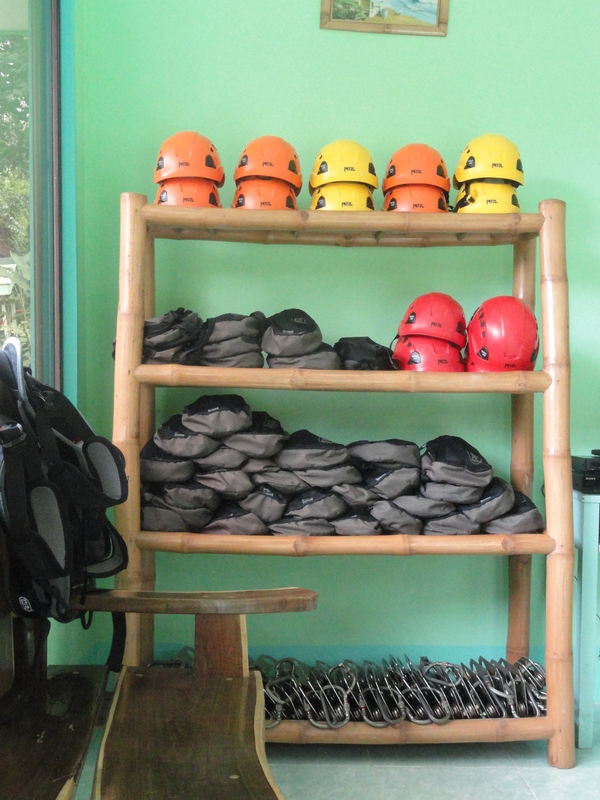 Across the street are motorcycles (habal-habal) that can take you to DATE Park. If you’re in a group, getting a van is more convenient. 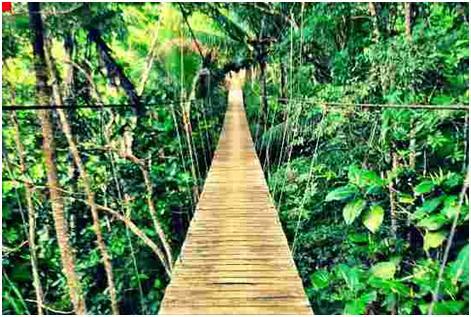 JMJ Transport is offers a car/van rental service going to this DATE Park. Or you may visit their website: www.jmj-transport.com. Lemon is known for its cleansing effect of the system for impurities. By drinking lemon juice regularly, the bowels eliminate waste more efficiently thus preventing constipation and indigestion. Regular consumption of lemon water provides a number of health benefits. Lemon is excellent for skin, hair, teeth and gums, treating throat infections, aiding in weight loss, preventing high blood pressure, curing respiratory disorders, rheumatism and reducing fever. Cucumber, however, is almost water but is more nutritious than regular water. 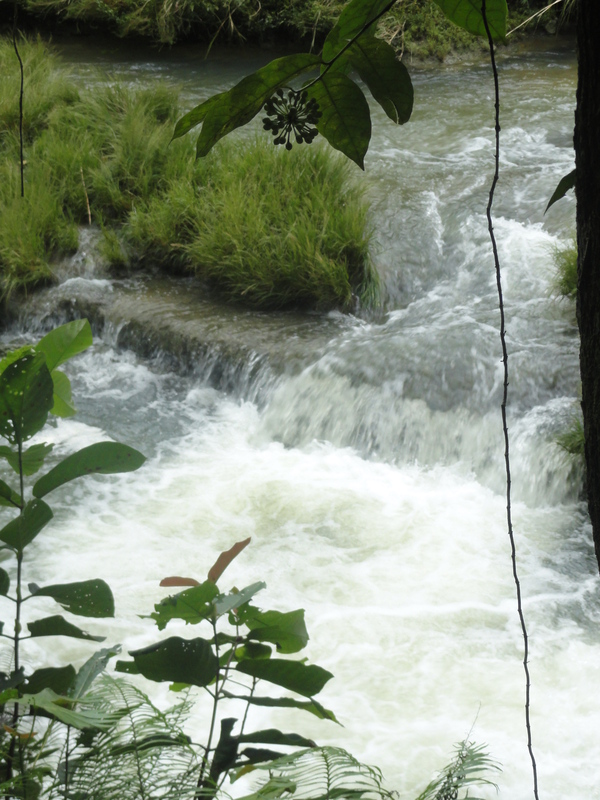 It keeps the body hydrated and helps flushing the toxins in the body. It is also very good for the skin, nails, joints, teeth and gums. Cucumber has minerals that effectively work for regulating blood pressure – good for treating low blood and high blood pressure. It aids digestion, promotes joint health, relieves gout and arthritis pain, reduces cholesterol, and helps weight loss. The Orange fruit is good for people who have asthma, arthritis, and high blood pressure. It prevents kidney stones and lowers cholesterol. Honey, as we all know, is a natural energy booster. It is great for immunity system builder and a natural remedy for many ailments like cuts and burns, chapped lips, arthritis, sore throats. When you get a hangover, fight the effects of alcohol by drinking honey with orange juice and yogurt blended together. I never would’ve thought I’d wait in queue just to taste these donuts people are talking about. J.CO Donuts and Coffee. Every time I go to Mall of Asia, I always see a long row of people going crazy over some donuts. But today, I made a trip as early as 11 am with thoughts that there would be fewer people. Yah, there were a number, I guess 20 before me. But yehey! I waited for my turn inside the store and not wait for a lot more ahead of me outside. Which means it’s probably around 50 people already before you get to have your share of J.CO donuts. A piece is 42pesos but if you get half a dozen will cost only 250pesos. A dozen for 350pesos and two dozens for only 550pesos. As I was about to be served next, I got so excited that I forgot what to order. (Or perhaps they already ran out because I can’t seem to find the precious ones I was eyeing for) So it was then my turn! I was unknowingly choosing what to get. I had to get a dozen because who knows when I can visit the store after that. The place is always packed! So, I picked 11 donuts and got the green one last. Then Jcoccino came and oh! How in the heavens did it come after I made my last pick! I tried to ask the guy to change my order and get that instead of the green one but he said I can’t because they’ve already boxed it. How sad! But which I didn’t qualm about. Well, I think it’s also sanitary and it won’t mess up with other flavors because it already touched other flavors inside the box. I picked Alcapone and Tiramisu (their best sellers), Green Tease (not really my type because I’m not into teas), Blueberry More, Don Mochino, Coco Loco, Heaven Berry, Meisisipi, Crunchy Crunchy and the rest that I can’t remember. The verdict: Definitely 5 out of 5 stars! Their donuts are not that sweet and the donut itself is so fluffy. Not to mention, most of the flavors have filling inside which I believe is sort of whipped cream but is surprisingly not that sweet. It was a perfect donut (at that time), if not the best I’ve ever tasted! If I would have a chance to go back, I’m definitely getting again Tiramisu & Alcapone and try Jcoccino and Avocado Dicaprio which I bet will tastes so good! I’ll also be getting a frappe and yogurt next time. I know it’s not a good combination but what the heck! 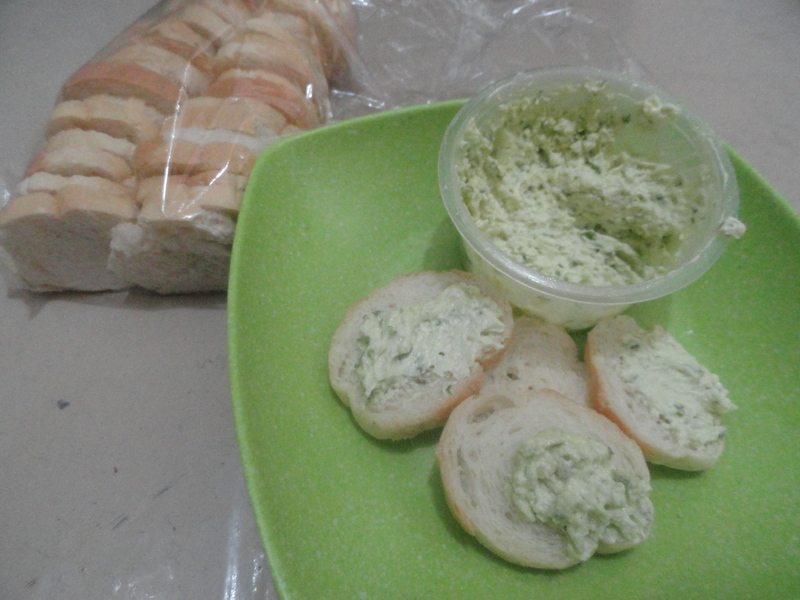 Cream cheese with garlic and herbs spread in croutons.. 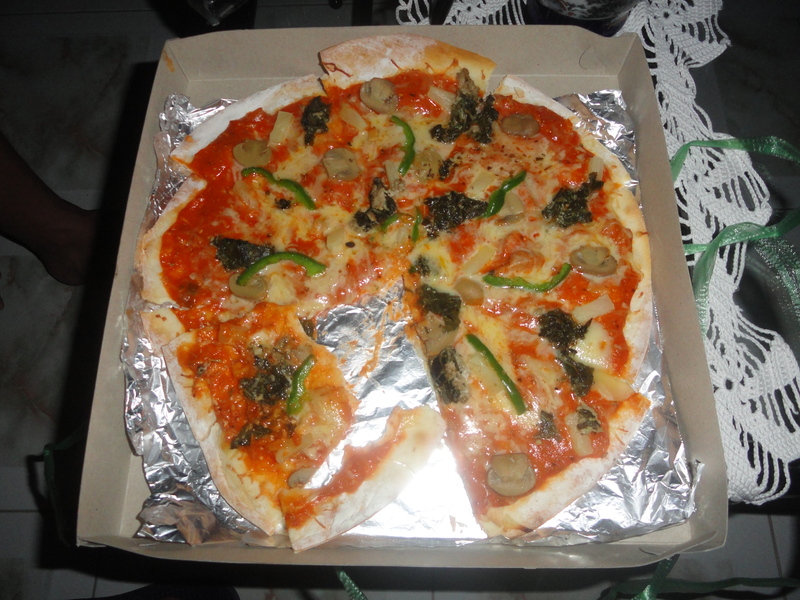 Some people call it Laing Pizza but in the menu, it says Bicolana Pizza. Topped with “laing”, a kind of green leafy vegetable. The sauce used is like the sauce in canned sardines according to Mike. 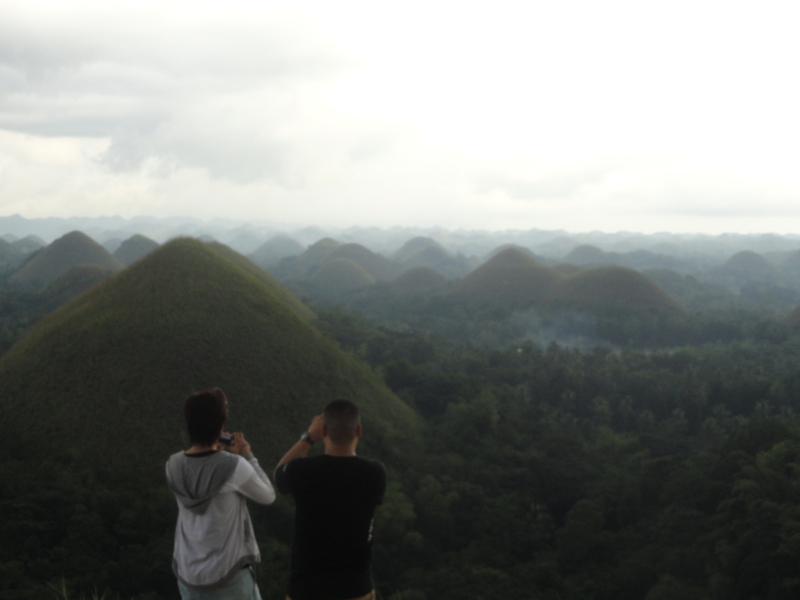 On our Bohol trip, these two first-timers enjoyed the misty view of the Chocolate Hills. Slice the fish (to desired size) while it is frozen so it won’t be crushed into pieces. Marinate the fish with salt, pepper, calamansi and a pack of magic sarap for about 30 minutes. Set aside. In a food container, place the flour and each slice of fish one at a time. Close the container and gently shake it to coat each side of the fish. Repeat for the rest of the fish. In a separate bowl, mix half a cup of flour to a cup of water and an egg. 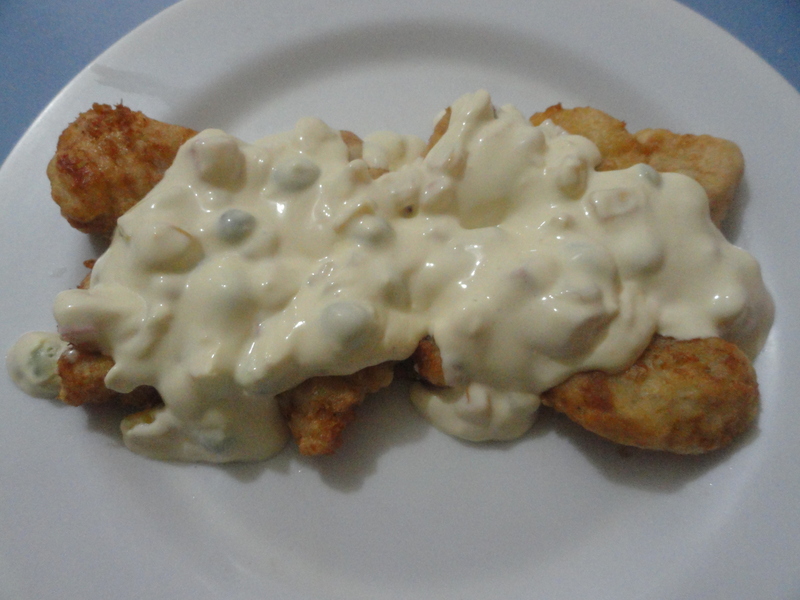 Dip the fish into this batter and fry in cooking oil until it until it turns golden brown. Place in a paper towel to remove excess oil. Boil a quarter cup of water. Dissolve half a cube of beef cube. Add mixed vegetables (carrots, peas and corn). Allow the water to dry. Sauté the vegetables in a butter and add 1 tetra brick of All-purpose cream. Add pepper, salt and magic sarap according to your taste. Allow to simmer for a few minutes.